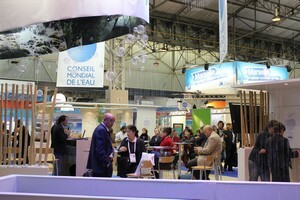 "Water resources - Preservation and management"
Upon invitation of the association VERSeau Développement, member of Agropolis International, and the World Water Council, Agropolis International has participated to the 6th World Water Forum, held in Marseille from March 12 to 17, 2012. 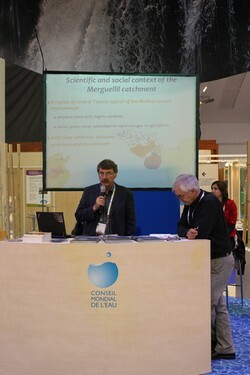 On this occasion, Agropolis International has presented on March 14, at the World Water Council's booth, its special issue n° 14 of the "Dossier d'Agropolis International" on “Water resources: preservation and management” (also published in French and Spanish). 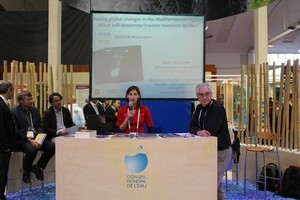 Key players of the regional scientific community have presented their scientific works aiming at improving water management in the Mediterranean area. 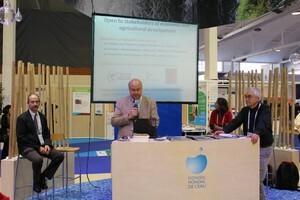 This publication was also largely distributed during the Forum at the booths of Agropolis International's partners (VERSeau Développement, ALLENVI, BRGM, World Water Cluster). 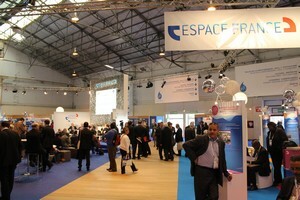 To face global changes in the Mediterranean, what will tomorrow’s water resources be like?